The march toward a Homecoming victory against Northwest begins with Spirit Week, Sept. 24-28. 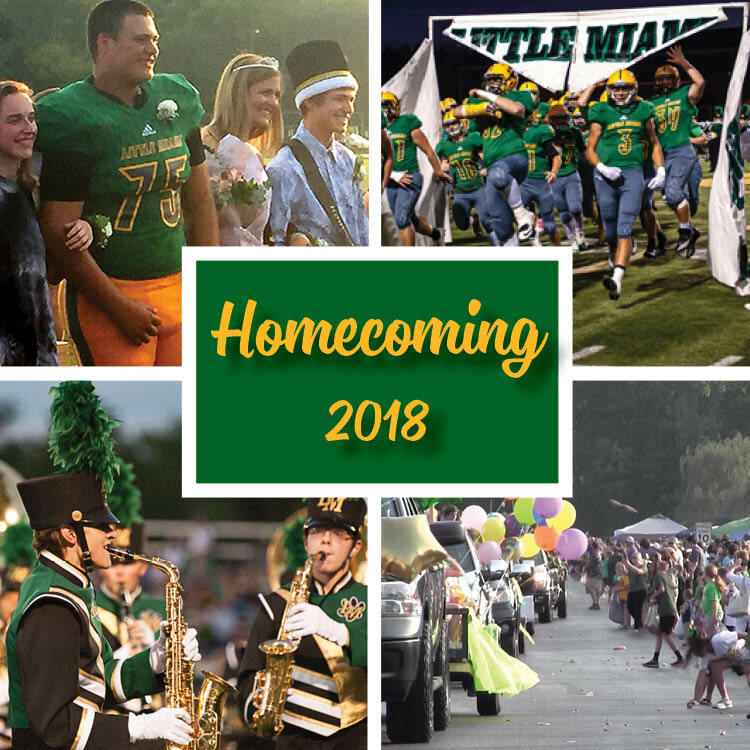 The 2018 Homecoming Parade will step off 5:30 p.m. from Little Miami Jr. High School and will again circle the campuses of Little Miami Jr. High and High School. Join the fun by entering a float in the parade. Download the parade application form and the waiver for minors to ride on the float. The Panther football team is hosting a special event for all football alumni at 5:30 p.m. Read the informational flier. The 2018 Little Miami Homecoming Dance will be held Saturday, Sept. 29 from 7 to 10 p.m. at Little Miami High School. Tickets will be on sale at lunch beginning on Monday, Sept. 24. Students who wish to bring guests who are not Little Miami students must complete and submit the Dance Guest Form. Check the list below to see what your school is wearing during Spirit Week! Friday, Sept. 28: Spirit Day-Wear your class colors and show your Panther Pride! Monday: Dress as your favorite meme! Tuesday: Dress as your favorite Disney character! Thursday: Dress from your favorite decade / time period! Friday: Spirit Day - Wear green and gold to show your Panther Pride!